Distressed home sales, those that are short sales or foreclosures make up between 1 & 4 and 1 & 5 sales, nationwide, which matches the rates of distressed sales in greater Eugene Springfield. The NAR is predicting the rates of distressed sales will fall this year because the number of seriously delinquent mortgages is declining. 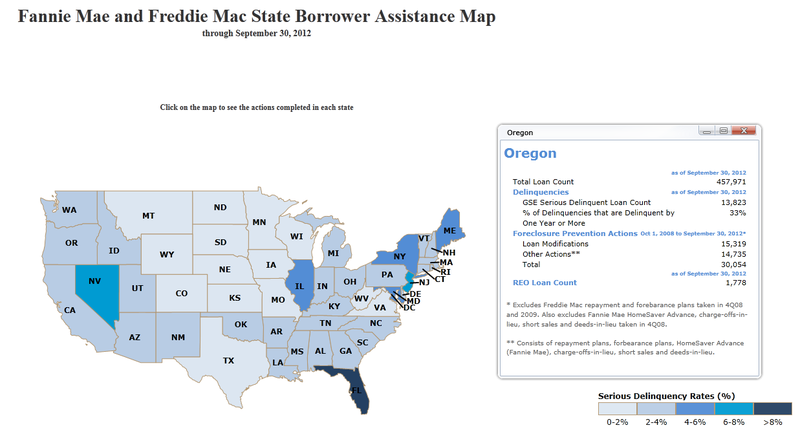 3% of Fannie and Freddie mortgages are delinquent in Oregon. However, the number of Fannie Mae and Freddie Mac short sales reached an all time high with 34,000 being reported for quarter 3 2012. 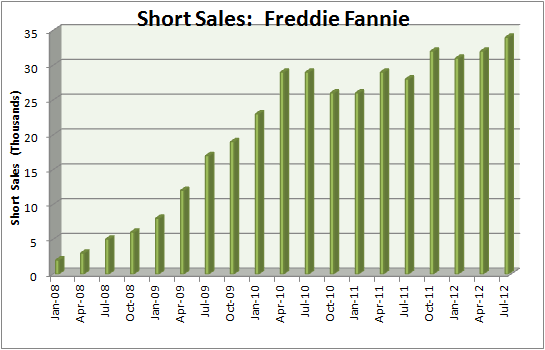 From 2008, Fannie and Freddie have reported some 391,000 short sales. If the average loss per sale were 50K, which is a guess on my part, the loss would be some 19.5 Billion dollars, which is a number on the order of burgers served by McDonalds. Yikes. The number of REOs by Fannie and Freddie has declined to about 158K in September 2012 down from 241K in 2010, so that appears to be improving. So, short sales and foreclosures will remain for the next few years but appear to be declining. This is in keeping with the increased real estate prices we are seeing in 2012 & 2013. If you would like more information on short sales or foreclosures in Eugene Springfield Oregon, please contact me. This entry was posted in Loans/Financing/Credit, Real Estate and tagged real esate foreclosures 2013, real estate blog eugene oregon, real estate foreclosures 2012, Real estate short sales 2012, real estate short sales 2013. Bookmark the permalink.